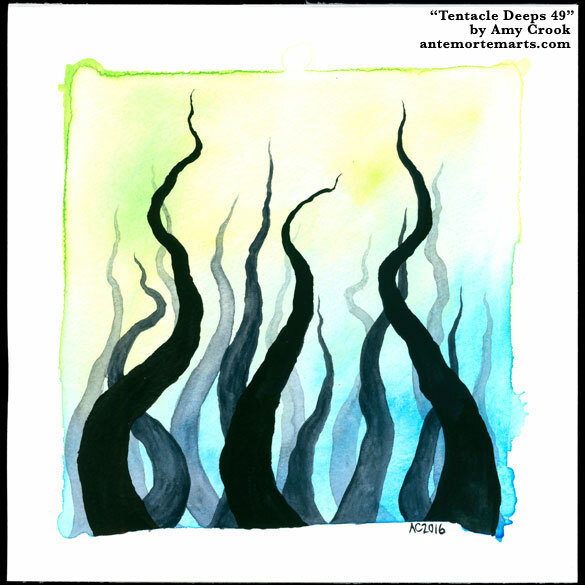 The Tentacle Deeps rise again! 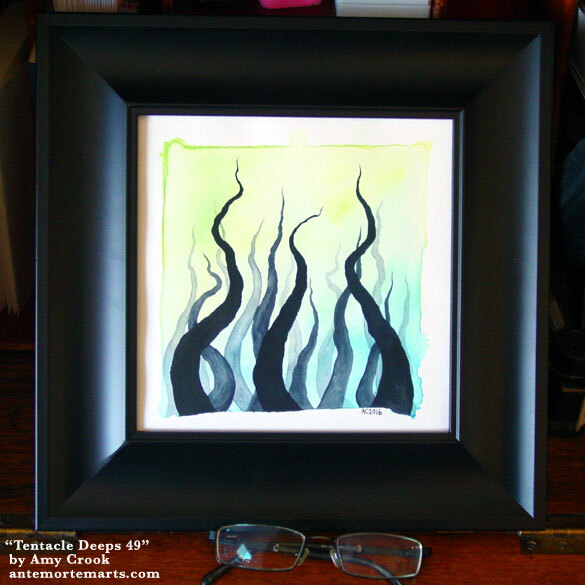 Someone asked me on Periscope what my favorite thing is to paint, and I immediately answered, “Tentacles,” and was reminded that it’s been ages since I added to this series. The photos don’t really do it justice, the bright green on top is cheerful and the rich teal blends into it beautifully. 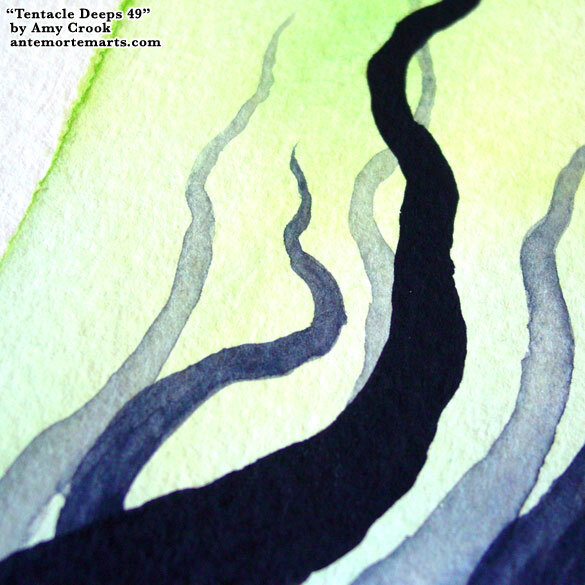 The tentacles are in a deep blue-black mix that adds depth, darker layering over lighter as we got closer to the viewer. Above, you can see a detail of the tentacles, growing bluer and fainter as they fade into the background. Below, the painting sits in a frame, perfect to be part of a grouping of art, or just to fill that little patch of bare wall. With tentacles.